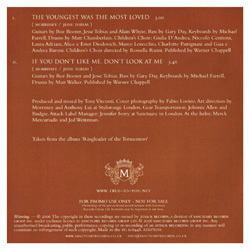 The insert of UK/Europe cd-single unfolded into a mini-poster (view left). 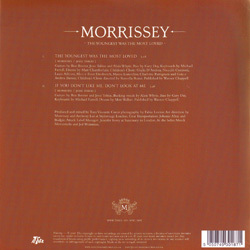 The brown vinyl 7" edition is a bootleg produced a few years after this single came out. Cover photography by Fabio Lovino. 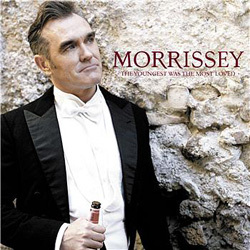 UK and Europe: Three different promo cds have been seen in circulation for this release. The most common is a one-track acetate cd slipped inside a clear plastic pouch with plugger sticker, but no artwork. The cd has a very minimal label of black titles and credits only, in a plain font. 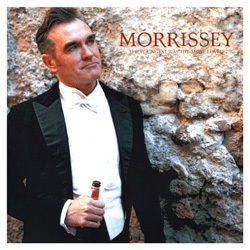 The second most common is a 2-track cd (backed by the usual b-side) with a mock-vinyl label similar to the one of the stock cd-single. 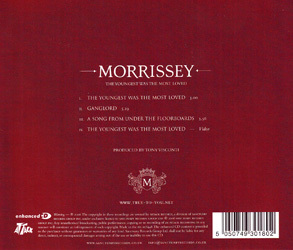 The cd is also slipped inside a plastic pouch, but has a picture insert, a variation of the single's artwork inside a white border (view in left bar). 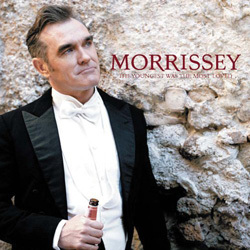 The third and rarest one features only the title track. The cd's label is blue with white text in the same font as the stock singles. All are numbered ATKPX018. DVD-r's featuring the song's video were also pressed for promotional purposes. Promotion was also done through the song's appearance on issue 71 of the Mastermix Pro Disc various artists promo series.